Keyword Link Spy is a desktop tool that will allow users to find the backlinks that your top 100 competitors are using to rank for specific keywords. Simply enter your keyword such as "dog training" and Keyword Link Spy will show you all the backlinks linking to the organic results for "dog training". 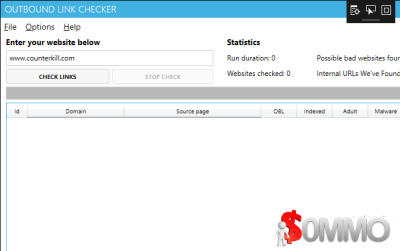 Backlink Checker is a desktop tool the allows website owners or SEO's to check a websites backlink profile. It is powered through the MOZ API (which is free to use). You simply enter the web properties (domains / webpages) you want to see the backlinks for and the tool will fire off requests to the MOZ API fetching all the known websites / webpages linking to those web properties. When you host a website your domaain name has to resolve to an IP address so your computer can connect to that IP address and load the websites contents. If you host your website on shared hosting then you will be sharing the same IP with serveral other websites. Anywhere from 10-10000. Also even if you don't have shared hosting there is a strong chance that the dedicated IP address will of been used by a website your hosting provider was using before you used it for your website. How do you know these websites weren't hosting Malware or spammy websites that have been deindexed by Google? This is what Bad Neighborhood Checker can tell you. How much do you know about the websites you're sharing an IP address with? Probably very little. Are they hosting malware? Are they hosting thousands of auto generated spun content? Have they been deindexed by Google? Bad Neighborhood Checker can provide you with the valuable information you need about your IP address neighbors to decide if you need to move or not. We all know links power your website up the search engine rankings and its very tempting to break the Google webmaster guidelines and buy links or spam links. However this can very risky and may get your website delisted on Google. So if you're looking for a legit whitehat risk free way of getting links to your website a broken link campaign is a great option. Link Monitor automates the tasks of checking if your backlinks have been changed/deleted or new ones have being placed on specified webpages. Outbound Link Checker crawls your entire website checking all your outbound links for any reason you wouldn't want to link to any of your outbound websites. Checks include adult, foreign, cloaking, deindexed or servering up malware and much more. Linking to these types of websites can seriously damage your rankings. 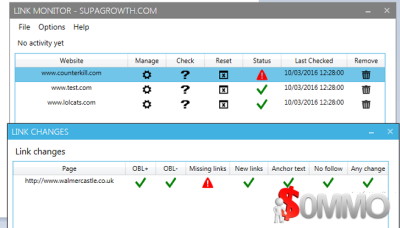 Outbound Link Checker is a very simple tool to use. You simply enter your websites domain and it will crawl every page looking for outbound links. Once it has an outbound link it will check for any reason you might not want to be linking to this website. For example has it being hacked and its serving up Malware? Has it being deindexed by Google? Bad Link Buster checks your baclink profile for any websites that you wouldn't want a link from. These websites might be adult, foreign, cloaking, deindexed or servering up malware. Simply load in your backlink profile and Bad Link Buster will start doing all the hard work for you. 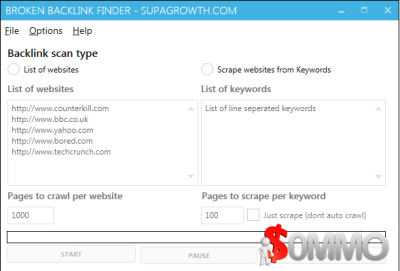 Bad Link Buster is a free tool that allows you to find baclinks in your backlink profile that might be damaging your search engine rankings. Backlink Monitor 5 - The world's only multi-tier backlink management software! Tracking your tiers couldn't be easier. Backlink Monitor is the easiest way to track and manage your website backlinks. Just enter your backlink URLs and let Backlink Monitor check the status, anchor text, IP address and PageRank for you. It couldn’t be easier. Best of all, Backlink Monitor works with multiple backlink tiers! Stop working hard and start working smart with Backlink Monitor. Backlink Monitor is designed to be used along side your day-to-day link building activities. As you build backlinks you’ll paste the new links into the main Backlink URLs list. You always want to be adding to this list (never remove from it directly, except by using the “Remove Dead Backlinks” option). This way, it becomes your master list of working backlinks that have an SEO influence. It becomes particularly valuable during multi-tier link building because it finds and removes broken tiers, so you won’t waste time building new links to pages that don’t influence your website’s ranking. RA BackLink Checker is used to get / check your backlinks info which includes Backlink Url, Host Status, Inbound Link, Outbound Links, Follow Status, PageRank, Anchor Text, Backlink IP, Google Index Status and so on. You can easily export the extracted backlink information into CSV or TSV. RA BackLink Checker is light weight, designed & developed with user friendly interface which everyone can use without guidance. Every search engine analyst must aware that the backbone of search engine optimization is building quality backlink especially for major search engine share holder Google. By monitoring your backlink details with this RA BackLink Checker for your domain periodically you can modify your backlink strategy and also it will help to customize for your backlink techniques. RA BackLink Checker was specially designed for every search engine analyst, search engine marketer and all online marketers who looking for smart backlink analyzer.